Recently, Australia made progress on a possible overseas base with which country? Which important milestone did the F-35B fighter reach in September 2018? Which of the following countries is not a member of BIMSTEC? Which two Indo-Pacific countries recently confirmed their intention to purchase the Boeing P-8 Poseidon maritime surveillance aircraft? 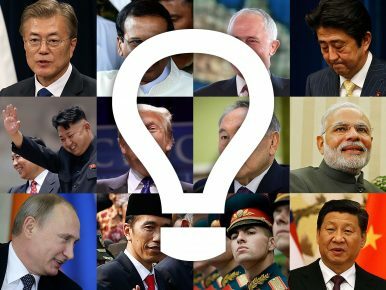 Which of the following leaders has North Korean leader Kim Jong Un not met this year?